Angelina is heartbroken when she hears that Miss Lilly is moving away to teach at the Rodentski Academy. 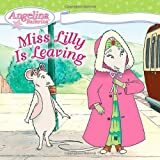 Angelina and the other mouselings come up with a plan to stop their beloved teacher from leaving. Can they convince Miss Lilly to stay?